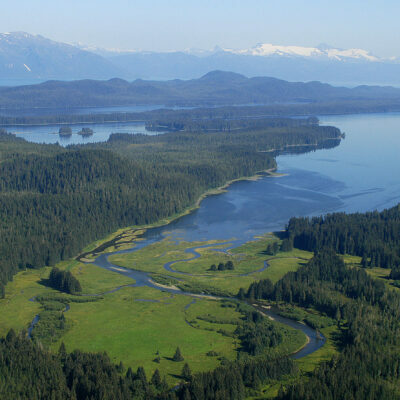 Strengthening Alaska’s primary law protecting fish habitat to encourage responsible development of Alaska’s resources while protecting critical salmon habitat. Adding science-based standards to current law to ensure that water flow, quality & quantity, and access to habitat are maintained during a project. Expanding protections under the law to ALL of Alaska’s salmon streams (currently only 50% are protected). And most importantly, recognizing the past mistakes that have led to habitat degradation and the demise of salmon throughout their historic range and strengthening our habitat protection law to help prevent repeating those mistakes. 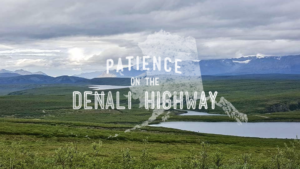 Multinational corporations will continue to benefit from Alaska’s natural resources with no accountability built into the law for actions that impact fish habitat. 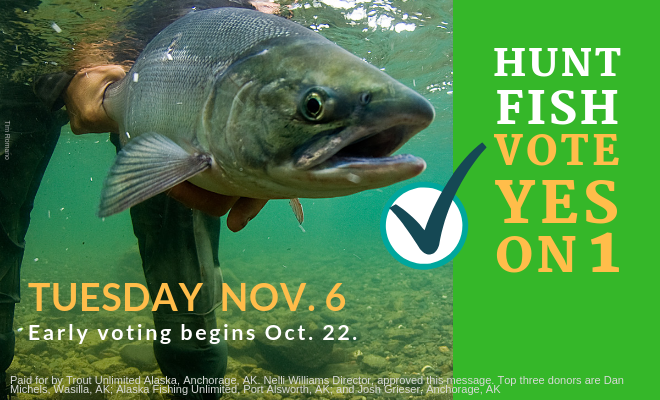 Over 50% of Alaska’s salmon and steelhead streams will remain UNPROTECTED by Alaska’s fish habitat protection law. Projects that will have a massive impact to fish habitat, like the proposed Pebble Mine, will easily receive a permit from ADF&G to operate in fish habitat. Public notice or comment opportunities for major projects like the proposed Pebble Mine will continue to NOT be required – you will not know they have applied for a permit to build in salmon habitat until they are granted one! Permits for development in fish habitat will remain susceptible to political influence rather than being governed by set scientific standards. Inadequate reclamation and mitigation of large projects would continue. In other words, developers who cause damage to salmon habitat during construction or operation of their project would continue to be allowed to “make up for it” by restoring habitat in totally different regions of Alaska from where their project impacted salmon streams or allow for loss of a wild salmon run to be replaced with hatchery stocks. Project developers would maintain NO requirement to post bonding, or to provide proof that they can pay for reclamation in the case that an accident occurred. If Ballot Measure 1 fails to pass will Alaska immediately see the demise of salmon? Clearly not. 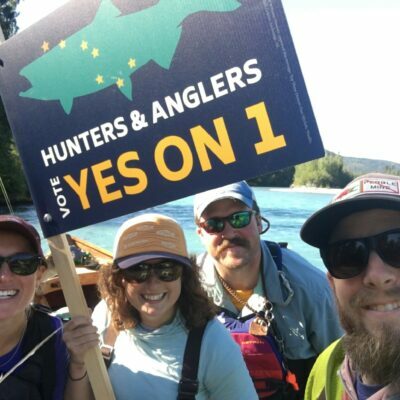 If Ballot Measure 1 does pass, will the ocean conditions impacting salmon be fixed? Also, of course not. But we must do everything we can to protect salmon and without this update, we will continue to see the “death by 1,000 cuts” that has led to the demise of salmon in the Pacific Northwest. That is a virtual certainty. In recent years we have witnessed cause for concern with Alaska’s salmon runs across the state, most notably with our famed chinook salmon. Our salmon are being stressed by numerous user groups and changing ocean conditions that we don’t yet fully understand. Every angler understands that, regardless of ocean conditions, every fish that makes it into the river requires access to healthy habitat to spawn and perpetuate the future of our most valuable renewable resource. Habitat is paramount to the survival of salmon. The struggling salmon runs that we have witnessed in recent years are cause for Alaska to not just learn from the mistakes of others habitat blunders in the Lower 48, but to double-down on salmon habitat protections for the sake of our $5 billion salmon economy, the 43,000 jobs they provide, and the Alaskan way of life. We can’t control everything, and aren’t seeking to with this ballot measure. 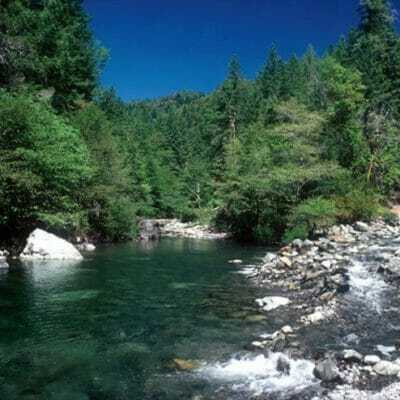 But we can control strong protections for salmon habitat. Voting yes helps get us there. Eric Booton is the Alaska Sportsmen’s Engagement Organizer. He lives in Anchorage.